The kindergarten curriculum is delivered in a full-day program that runs from 7:30 AM to 2:15 PM, and includes lunch and recess. Conducted by a full-time certified teacher and assisted by an aide, the program is developmentally appropriate and challenges students of all abilities. Many hands-on activities enhance student learning with much emphasis placed on integrated literacy experiences and self-expression. A curriculum of mathematics, science, and social studies rounds out the course of a student’s day. Integrated into the academic objectives of the school, religious education is in the Catholic tradition and helps form a foundation for spiritual development. St. Joseph School follows the curriculum guidelines outlined by the Diocese of Paterson and based on the New Jersey Core Curriculum Content Standards. 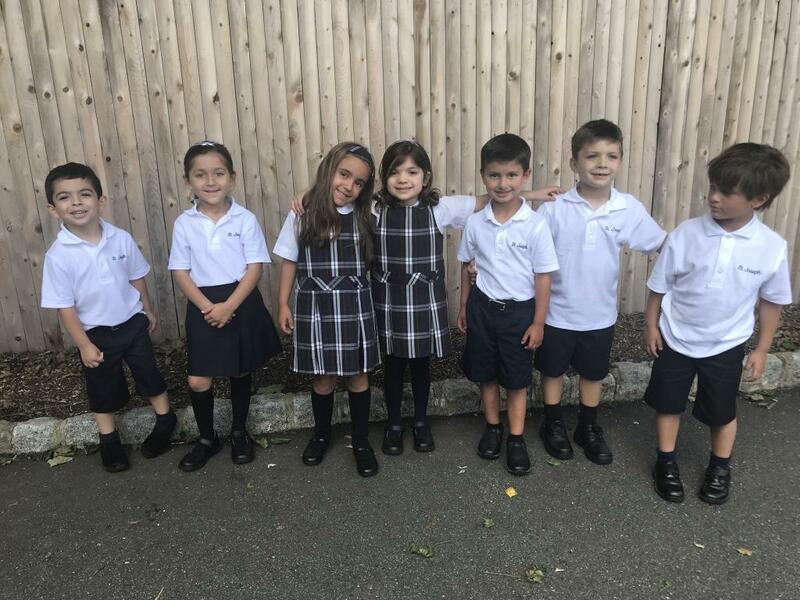 The kindergarten program is enriched with separate classes in library, music, art, physical education, and conversational Spanish provided by specialists. The field trip program enhances the basic program with a variety of enriching experiences. Shared with parents during individual conferences, portfolios of students’ work are used to assess progress in the kindergarten level of learning.